Lon Chaney Jr.’s Lawrence Talbot wasn’t Universal’s first Wolf Man . That honor goes to Henry Hull in WEREWOLF OF LONDON, a chilling but lesser film in the Universal canon. This one reminds me more of DR. JEKYLL & MR. HYDE than any of Chaney’s lycanthropic outings, and Jack Pierce’s makeup job is a little light in the hirsute department (more on that later). 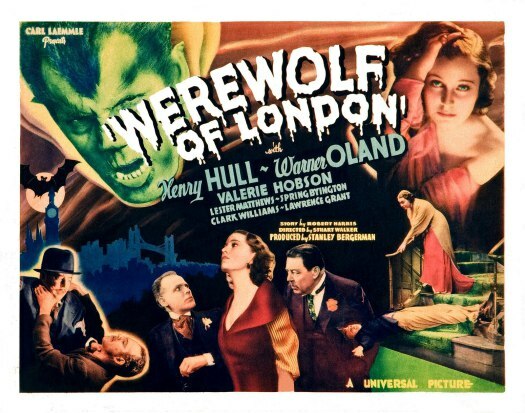 This entry was posted in Film, Film Review, Horror and tagged Cracked Rear Viewer, Gary Loggins, Halloween Havoc!, Henry Hull, Lester Matthews, Spring Byington, Through the Shattered Lens, Universal Pictures, Valerie Hobson, Warner Oland, Werewolf of London. Bookmark the permalink.